Rishi is working in Sales Engineering unit of MicroStrategy based out of their Dubai office. Until recently, he was working as Services Director with a consulting firm delivering Business Analytics applications using the MicroStrategy platform and has a cumulative experience of 16 years in delivering Business Intelligence and Corporate Performance Management applications. 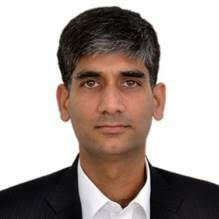 Along with MicroStrategy, Rishi has worked extensively on IBM Cognos BI and Planning. With over a decade of customer facing experience in the middle east, his current role requires him to travel across the region, something which he enjoys a lot! Rishi has been living with his family in Dubai for the past 12 years; loves to travel; and being an Indian. 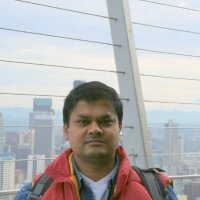 Satya Jayanty is Microsoft’s Most Valuable Professional (MVP) – SQL Server for last 10 years, Satya Jayanty is a subject matter expert in the areas of consulting & technical expertise within Data Platform, Business Intelligence, and Architecture solutions with over 24+ years of experience. He is the author of Microsoft SQL Server 2008 R2 Administration Cookbook (released May 2011) and Microsoft SQL Server 2012 cube-security How-to (October 2012) from www.packtpub.com, co-author of MVP Deep Dives SQL Server Volume II (released October 2011) from Manning Publications. Reviewed many SQL Server books on a technical reviewer capacity and SME (reviewer and writer) for SQL Server certification exams. Satya (@SQLMaster) is a prolific speaker at major technology conferences such as Microsoft Tech-Ed (Europe, India and North America), SQL PASS (Europe and North America), SQL Gulf, SQL Saturdays and SQL Bits (UK). Owner of 2 leading SQL Server usergroup in the United Kingdom. Satya was very active (held Moderator positions) in SQL Server related newsgroups and forums such as www.sql-server-performance.com,SQL Server Central. Microsoft SQL Server tutorials, training & forum. and SQL Server Information at SQLTeam.com along with Microsoft Technet forums. Whenever time permits, Satya contributes to his own blog site, Data Platform Knowledge Sharing Network | SQLServer-QA.net – A Knowledge Sharing Network… and shares knowledge from his Twitter pod. 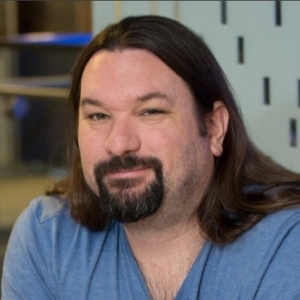 Denny Cherry is an MVP and MCM expert in the design and administration of Microsoft SQL Server (6.5-2014) database solutions at both the hardware and software levels of the design process. On the software side I have expert level knowledge of a wide variety of Microsoft Software including Microsoft SQL Server (6.5-2014), Microsoft SQL Server Analysis Server (7-2014), Microsoft SQL Server Integration Services (2005-2014), Microsoft SQL Server Replication (7-2014), Microsoft Windows Server (NT4 – 2012 R2), Microsoft Cluster Services (2000-2012 R2), and Microsoft Load Balancing Services (2000-2012 R2).In addition I am extremely experienced in the use of EMC Navispear, EMC PowerPath, HP/Compaq SmartStart, HP/Compaq RAID Utilities, and EMC DRU. On the hardware side I have expert level knowledge of a wide variety of hardware including HP/Compaq 1850R, HP/Compaq 6400R, HP/Compaq 6500R, HP DL360, HP DL380, HP DL385, HP DL580, HP DL585, EMC CX-500, EMC CX-600, and EMC CX-700. 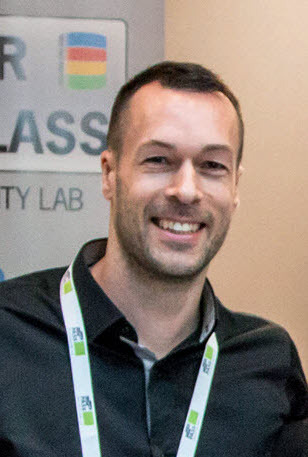 Andreas Wolter is both a Microsoft Certified Master (MCM) on SQL Server 2008 and a Microsoft Certified Solutions Master Data Platform (MCSM) SQL Server 2012 – making him one of only 2 experts worldwide being master-certified on SQL Server 2008 and 2012. Besides that he has also been awarded with the MVP for SQL Server since 2014. He is the founder of Sarpedon Quality Lab, a Germany-based company that specializes in Development and Optimization of SQL Server Database- and Datawarehouse-architectures with focus on performance, scalability and security. With over 15 years of experience with SQL Server he can be met at various international conferences and delivering training for the SQL Server Master-Class seminar-series held in Europe. You can follow him at Twitter at @AndreasWolter and find his blog at www.andreas-wolter.com/blog/ . Victor Isakov is MVP , MCM and MCA SQL Server since 9 years , he is a Database Architect and Microsoft Certified Trainer. He provides consulting and training services to various organizations in the public, private and NGO sectors globally, and been involved in different capacities at various international events and conferences. He has authored a number of books on SQL Server and worked closely with Microsoft to develop the new generation of SQL Server 2005 Certification and Microsoft Official Curriculum for both ILT and e-Learning. He wrote exam items for various SQL Server 2005 exams., he reviewed all SQL Server 2005 exams , also he wrote exam items for various SQL Server 2008 exams and reviewed all SQL Server 2008 exams. In addition he wrote exam items for Microsoft Certified Architect: SQL Server program. 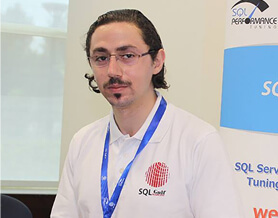 Shehab El-Najjar is MVP,MCTS and MCITP SQL Server, ITIL and Cobit 5 certified , he is the 2nd MVP SQL Server all over the middle east and he is a frequent Speaker at SQL Saturday.